Vicki Vivacious, real name Aaron Johns, is a member of the Supreme Fabulettes, the drag troupe directed by William Baker. A Supreme Fabulette whose theatre aspirations led her to be a part of the top drag troupe: with ideas of a one-woman show and TV stardom she’s got a fame hungry attitude. 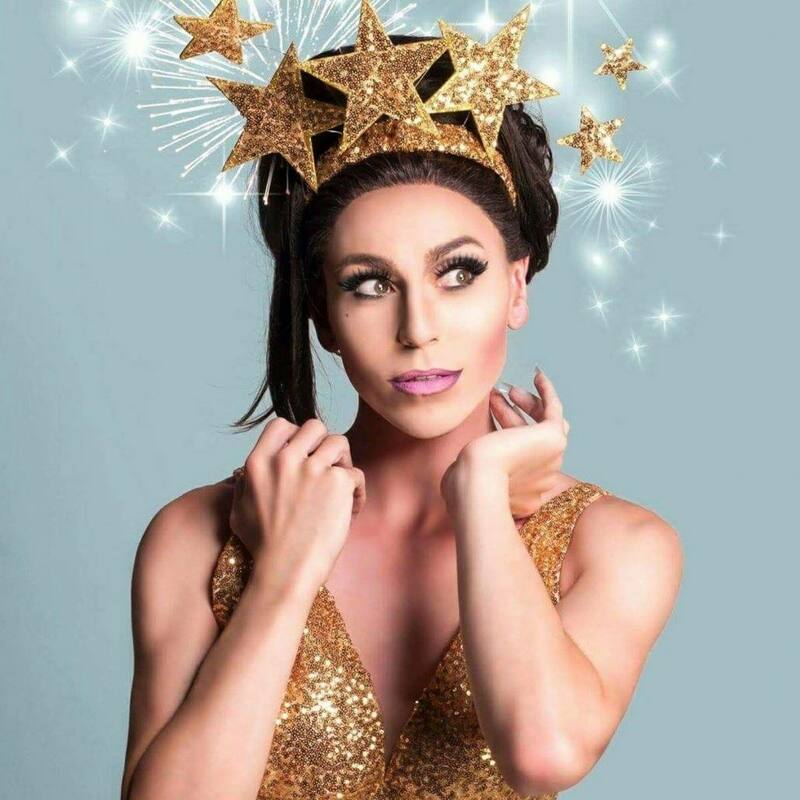 Cornwall Pride is proud to be working with Vicki Vivacious this year as she visits us to host both Rainbow Fest and Moonbow Party. Vivki will bring her amazing talent and lots of fun to events!